We don't celebrate Easter much since we live in Japan, but we always receive treats from France to remind us that Easter has come. Besides the chocolates that are not available in Japan because Easter is not a traditional event, Easter means also "spring", often sakura blossom, colorful plates and colorful table decorations. But this year it is a very cold and rainy Easter, a lot of the new vegetables are not yet available and I only found a limited choice of greens at the local farmers cooperative. Basically snap peas and asparagus. And of course the delicious ashitaba. So my Easter lunch menu was rather simple. Some sauteed new vegetables and ashitaba gnocchi. 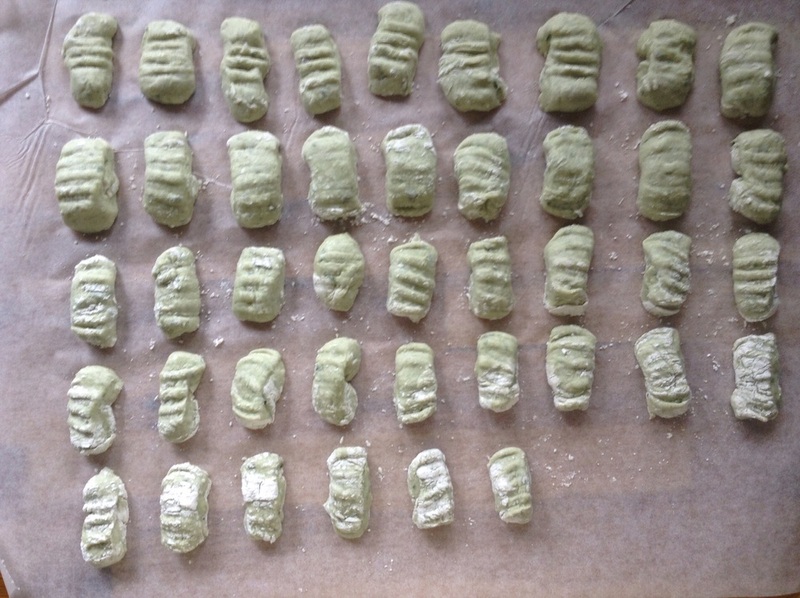 I told you I make gnocchi of everything and I will show you some more recipes with ashitaba. Truly ashitaba suits very well dishes with potatoes, so I assumed that it would work well for gnocchi, and it did. It is supper simple, just adding blended ashitaba leaf to the potatoes, and prepare the gnocchi as usual. I served them with a fruity olive oil and a little of ashitaba-tomato sauce. 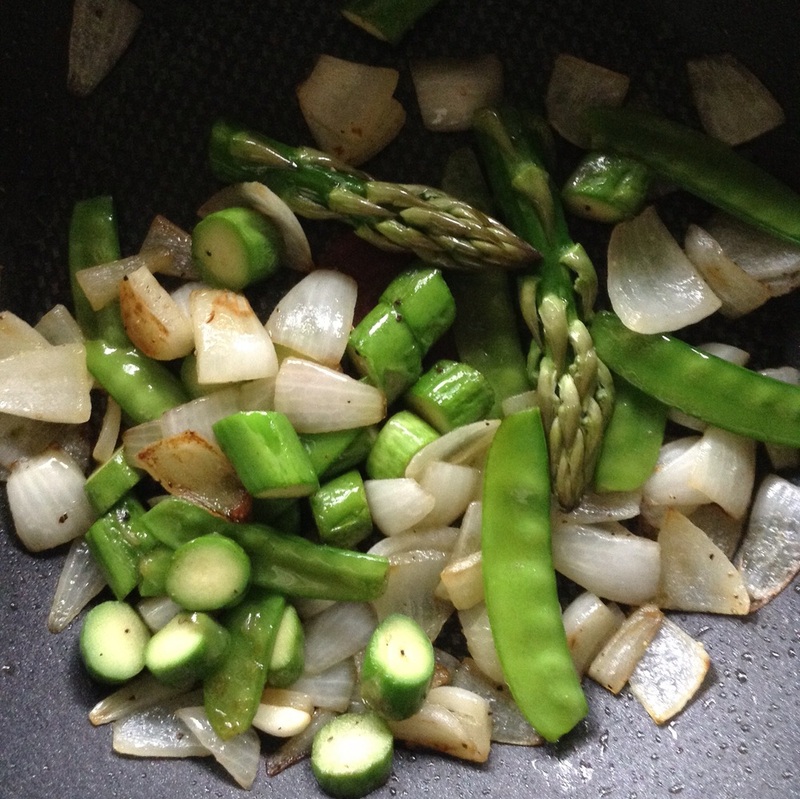 For the legumes sauteed I roughly cut one new onion, added some snap peas and finally some asparagus in a bit of olive oil in a wok. 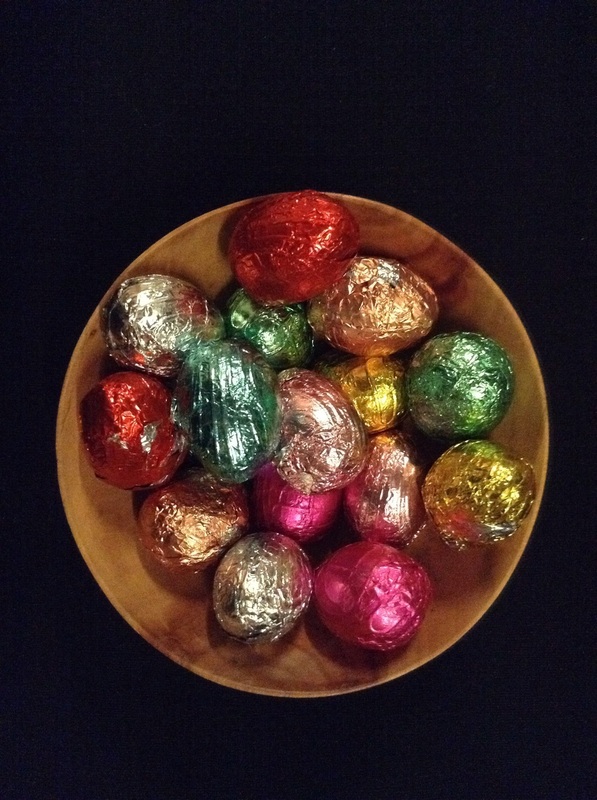 For the chocolate eggs, we received more than enough from France, I decided to do nothing special! What did you cook for your Easter lunch?